Lawrence Israeloff, Esq., CPA, CFP®, is an experienced tax attorney and CPA. His dual law and accounting practice focuses on federal, state, and local income tax planning, trusts and estate planning, gift tax planning, personal financial planning, insurance and retirement planning, tax return preparation and compliance, transactional tax consulting and research, legal representation for IRS and state tax controversies and audits, and business formation and administration. His clients are high net worth individuals and privately held businesses, including corporations, partnerships, and limited liability companies. Mr. Israeloff is also an Adjunct Professor of Law at Touro Law Center in Central Islip, New York. 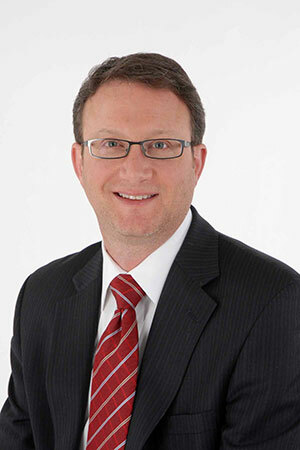 Mr. Israeloff honed his skills as a tax attorney and CPA with prestigious New York City law firms and Big 4 CPA firms. He lectures, is often quoted, and writes articles on tax and estate planning issues. Mr. Israeloff is admitted to the bar of the State of New York, is licensed as a Certified Public Accountant in New York State, and is qualified as a Certified Financial Planner™. He is admitted to practice before the United States Supreme Court and the United States Tax Court. He holds a Bachelor of Science in Economics degree from the Wharton School of the University of Pennsylvania, a Juris Doctor degree from Columbia University School of Law, and a Masters of Law in Taxation (LL.M.) degree from New York University School of Law. He is a member of the American Bar Association, the New York State Bar Association, the American Institute of Certified Public Accountants, and the New York State Society of CPAs. A CPA / PFS (personal finance specialist) has received the most comprehensive financial planning professional certification available, the Personal Financial Specialist credential. The educational requirements necessary to become a CPA, as well as the experience, skills and credentials, make them the best choice to assist clients and potential clients in a holistic manner with any tax, estate, retirement, investment and risk management planning concerns they may have. Every CPA / PFS is first and foremost a CPA – only CPAs qualify to hold the CPA / PFS. A CPA’s foundational tax expertise and business acumen coupled with the stringent PFS requirements of financial planning knowledge enable the CPA/PFS to uniquely address the financial planning concerns of individuals. Every CPA / PFS has a duty to approach financial planning objectively and without bias; intent on upholding our client’s best interest. CPAs are held to a strict code of professional conduct and standards with regulatory oversight by state boards of accountancy. The CPA / PFS credential builds on the CPA professional’s relationship as a trusted advisor. Every CPA / PFS is a part of the American Institute of CPAs, the largest professional organization for CPAs. This 125-year old professional association of CPAs provides a community for the CPA / PFS with an unwavering commitment to core values and the highest standard of client care. How do you know if your CPA can help you with tax, estate, retirement, investment or risk management planning objectively and with your best interests in mind? He will hold the CPA / PFS credential.